Kind of a double post this one. My friend was over from Canada again and we’d decided on an afternoon of bloke films, which by the way is a top way to spend a Sunday afternoon! To go with this extravaganza I wanted some simple robust flavours. 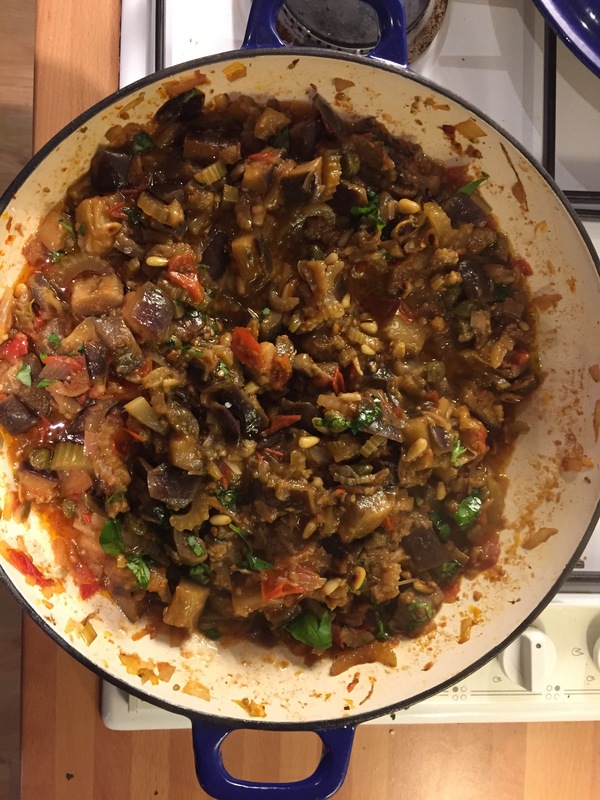 I’ll go into the main event in the next post but the supporting act was a Sicilian Caponata. A bit like ratatouille but with no courgette and plenty of capers and pine nuts. 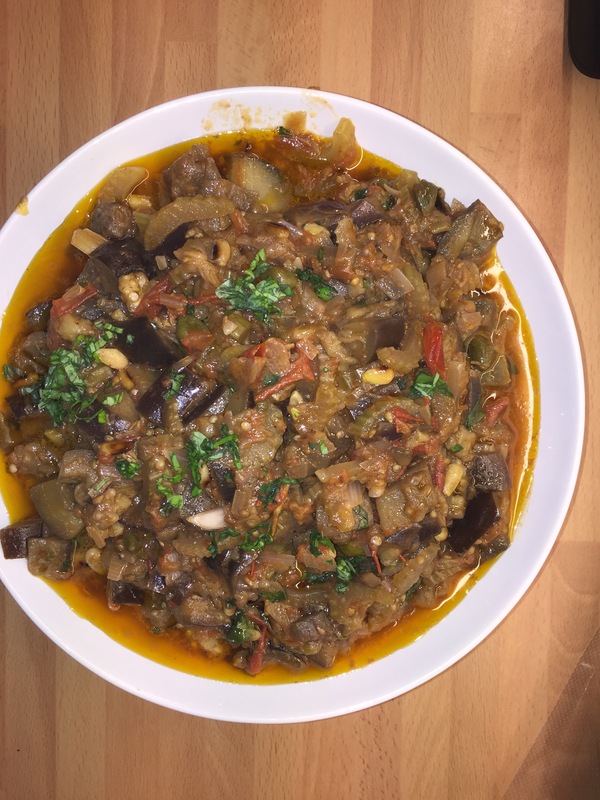 I started by sautéing the cubed aubergine for about 15 mins in olive oil, then removed it from the pan and added the shallots, cooking until soft. Next in went the tomatoes, chopped and I cooked them down until they kind of broke down. Then everything bar the basil went back into the pan as well as 50ml of red wine vinegar and was cooked over a gentle heat for about 45 minutes. Then I seasoned the pan added the chopped basil and let it cool, caponata is best at room temperature! The perfect accompaniment to anything in spring or summer, as you’ll see in my next post I served it with some delicious lamb cutlets. Hmm, I’ve had lousy luck cooking eggplant well in my own kitchen, but this looks amazing. Might have to try it. It was really tasty, and I’ve got a load in the fridge to last the week. Give it a go! 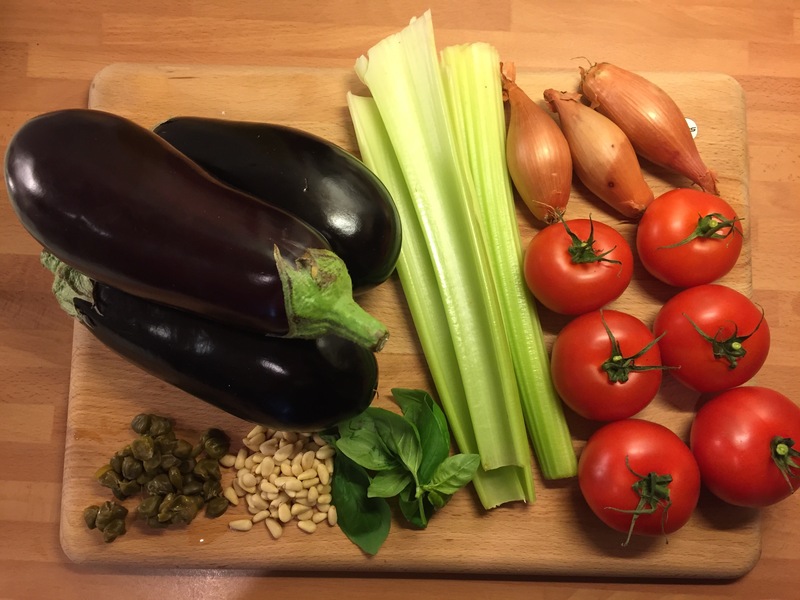 This entry was posted on April 26, 2015 by paulb in Low Carb, Sides.